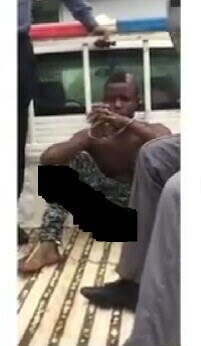 After a 2-week r*ping spree, a suspected r*pist breaking into hostels to defile female students of the Ekiti State University (EKSU), has been arrested. The suspect, identified as Sunday, was caught yesterday morning at Adesoye Hostel, Phase two satellite, Iworoko road. He was thoroughly beaten. Those who caught the suspect eventually handed him over to the police.